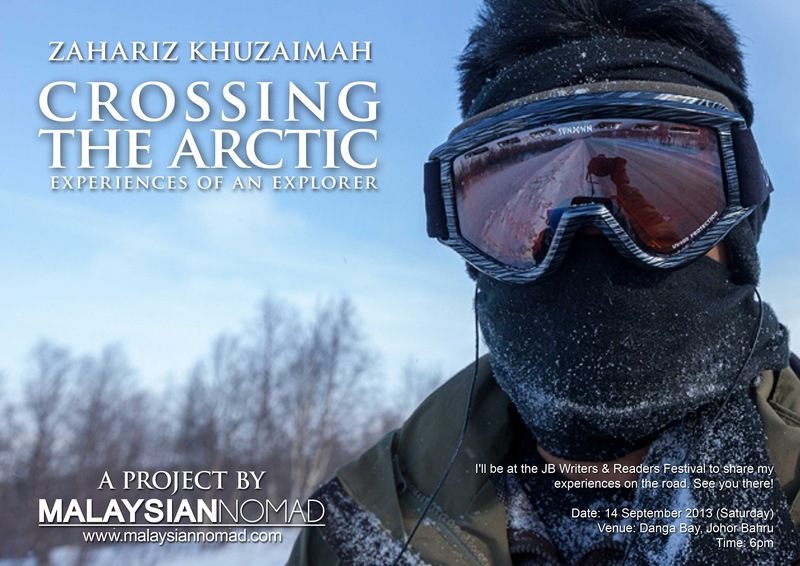 Anyway, this coming Saturday, 14th Sept I’ll be giving a talk in JB Writers & Readers Festival in Danga Bay, Johor Bahru at 6pm and also will showcase my short 10 minutes film, “Merentas Dunia Artik” (Crossing Into The Arctic) on the same day at 10pm in Bukit Timbalan. So any of you guys who are living in Johor Bahru and Singapore, please come and lets meet up in person, listen to my crap, have a tea and support my journey! Cant wait to be there… u know… after months being in the cold in the Arctic, i cant wait to feel the heat of Johor Bahru & Singapore! Hope to see you guys!! Good luck – hope it goes well. Looking forward to seeing the movie some day soon. Hahaha, you made it into the Norwegian Arctic finally. Well done!